The other night I had the opportunity to hang out with the young women in our ward. We decided to have a spa night for our activity. We had a table full of finger nail polish supplies and a table full of facial supplies. It’s always fun to see the girls taking care of each other and helping one another by putting their masks on another. Some of the girls had never done a facial before and so it’s always fun to introduce them to something new. Keeping with the theme I decided to make my own scrub and thought this was a perfect time to do it. I love giving my own girls scrubs in their stockings at Christmas but this would be a fun friend gift and if you added a note to tell them how beautiful they are that would put it over the top! Super quick and easy to make! Add the sugar first, and then layer the rose pedals. Then add the baby oil and the lemon juice. Blend until completely blended. At the end, I had to finish by using a spoon to mix the sugar that was stuck to the sides. It smells amazing!!! 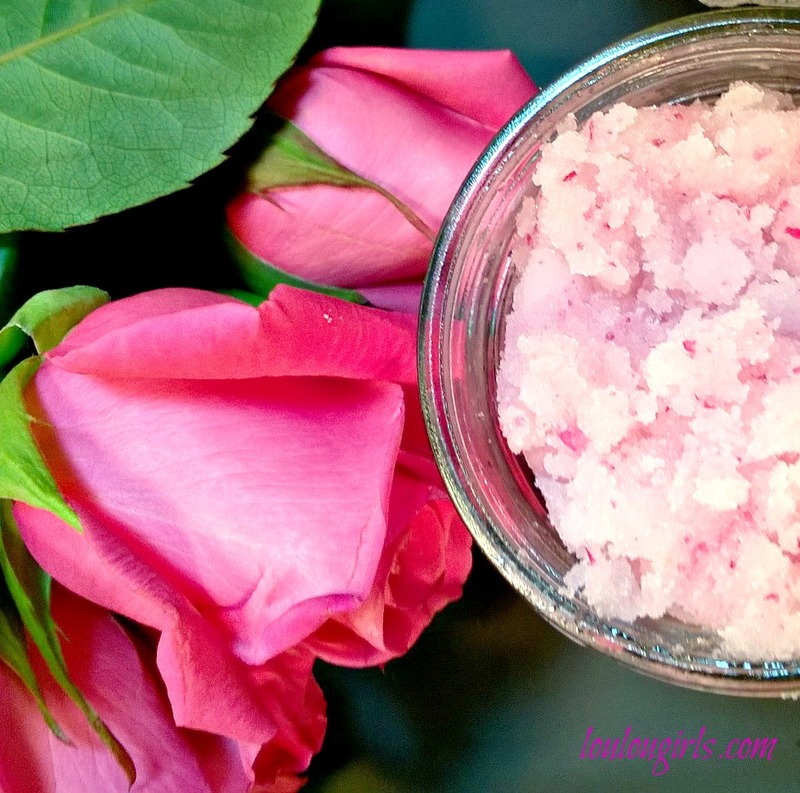 How to use sugar scrub: You can use the scrub in the shower or bath or even at the sink, just make sure to apply to wet skin. Just scoop out a little into your hand and rub onto your wet skin. You can use a washcloth or a bath pouf but hands are the best! Scrub until you feel the sugar melt and then rinse off. Scrubs cleanse, exfoliate and moisturize in one easy step. 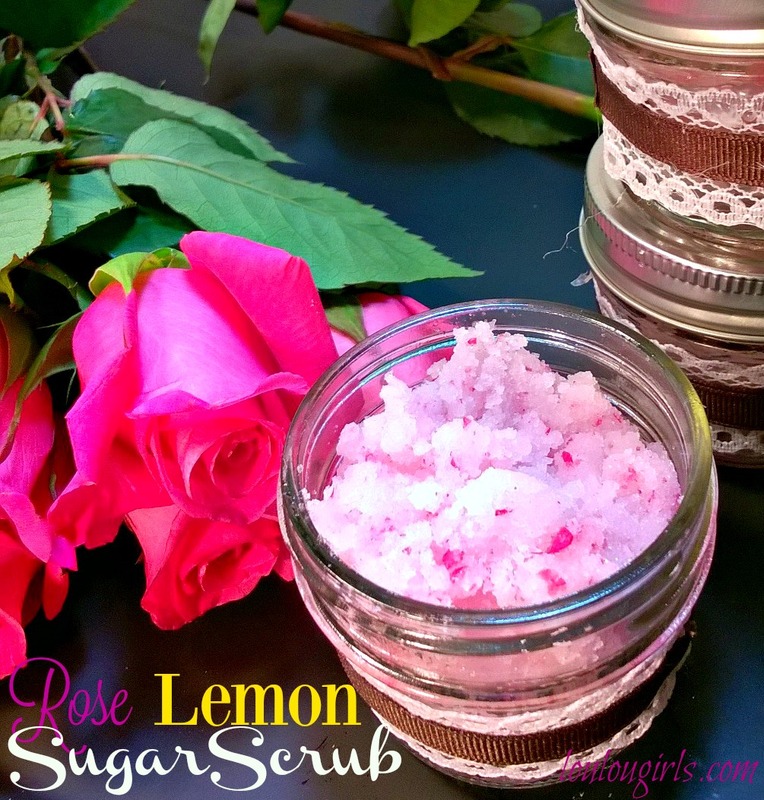 I love scrubs and roses…this looks like a winner! Definitely trying it!